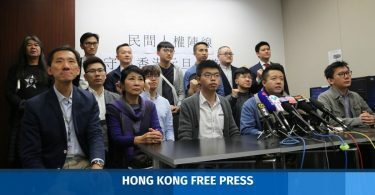 The Court of Appeal has accepted an application to appeal from one of the police officers convicted of assaulting democracy activist Ken Tsang during the pro-democracy Occupy protests in 2014. In February, a District Court found seven police officers guilty of assault occasioning actual bodily harm. They were given jail sentences of two years, prompting a closed-door mass rally by the police in their support. All seven appealed against their convictions, and were granted bail pending appeal. 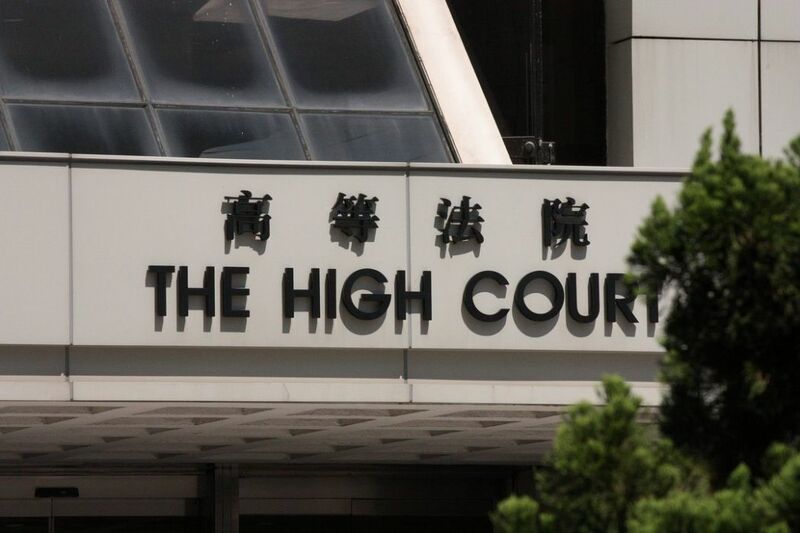 Police chief inspector Wong Cho-shing, 48, was given leave by Mr Justice Michael Victor Lunn, vice-president of the Court of Appeal, to appeal his sentence and conviction on Friday. His appeal will be considered by a full court of three judges later on. Wong Cho-shing. File Photo: Citizen News. Wong is represented by Tim Owen QC, Clive Grossman SC and barrister Benson Tsoi. In court, Owen argued that the authenticity of the video footage submitted as evidence should be contested. This includes looking at the methods used to test the authenticity of the footage and whether they are supported by the law, as well as whether there are any reasonable doubts about the footage. 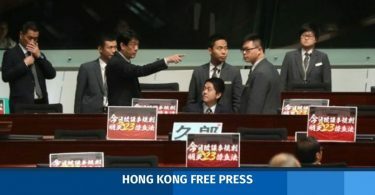 Owens also questioned why the court did not summon the photographer who witnessed the incident, and only asked TVB’s production manager David Wong Kwong-hoi to testify. However, the Department of Justice, represented by Jonathan Caplan QC and David Leung Cheuk-yin SC, argued that tests involved only questions of fact and not legal arguments. They also said that – based on the clip itself and other circumstantial evidence – it was entirely admissible. Based on precedents, if the court is unable to call the videographer of the clip to testify, the clip can still be verified with other evidence, the prosecution argued. The six other police officers will likely submit reasons for appeal to the court as well. The high-profile attack on the pro-democracy activist took place near the government headquarters in Tamar Park, Admiralty on October 15, 2014. Judge Dufton, who handed down the sentences, said the court needed to “make an example” to ensure that no police officers would attempt to commit such an offence in the future.